Can I Finance a Car While Filing for Bankruptcy? What Are Your Options When Car Payments Become A Burden? There are times to ask questions and times to stay silent. Buying a new car is a time to ask questions. When going over financing options on a new or used vehicle with a dealership, questions can be the difference between a customer fully understanding the agreement or signing a financial document unaware of what they are responsible for. Ask the right questions and know your financial obligations when purchasing a car and it will save you a lot of surprise down the road. Car financing can be confusing for those not well-versed in loans or financial legal jargon. Some customers might find financing terms confusing and the paperwork overwhelming, and often do. Car buyers may also find themselves embarrassed to ask what a term or passage from the agreement means in layman's terms. Don't be embarrassed or afraid to ask. This is your money and your new car. So not only is it wise to ask for an explanation of the financing on a car, it is the law that a borrower be given a Truth in Lending Disclosure, which should be automatically included within your agreement. This document will detail in plain language the terms and conditions of the financing agreement and how much purchasing the vehicle will cost you in both principle and interest. If this document is not offered, consider shopping at another dealership before finalizing the deal. After reading the Truth in Lending Disclosure, there still may be some lingering questions. This is a good thing, as it shows that a borrower is actively seeking a full understanding of the financing agreement. Borrowers who are better informed at the beginning are less likely to miss payments or default on a loan. Knowing this, lenders like to have an inquisitive borrower. What is the exact price I am paying? Have the dealership lay out the exact total for the car, including all fees and costs. Make them total it down to the last penny. There will be no surprises this way. What is the real interest rate? Don't settle for knowing the interest rate that originally was proposed. Ask for the annual percentage rate (APR) for a better understanding of the amount in interest to be paid each year. The lender should also be able to show you how much interest you are paying on the amount you are financing. Can I pay the loan off early without penalty? It is typically permissible for a borrower to pay off a car loan early, but not all loans allow it without penalty. Be sure to acquire this information, as well as knowledge of any other hidden penalties that there might be in the contract. Just like you wouldn't purchase a vehicle without first looking at it, don't sign an auto loan without first understanding what you are paying and for how long. I am in the market to purchase a vehicle. I am currently an UBER Driver. which is a self employment basically. I don’t want to apply yet as I have applied to other dealers and did not get approved. I won’t have a down payment until I drive. I do have documents from Uber regarding the income. Thanks for interest in purchasing a vehicle through DriveTime. Please note that approval and down payment options are subject to change upon visiting the dealership based on the physical documentation that you provide at the time of sale, as well as the specifications of the vehicle selected. If you have any further questions, please reach out to your local DriveTime dealership. I currently have a 2015 ford f150 with high payments and intrest rates. can I trade with you and get out from under this bad situation. Thank you for taking interest in DriveTime. i would encourage you to reach out to your local DriveTime dealership pertaining to the trade in of your current vehicle. What would my interest rate on a 5 year loan be if I have excellent credit? Thank you for your interest in DriveTime. Regarding what your interest rate would be with having excellent credit, I would encourage you to reach out to our Corporate Sales Team at (800) 965-8042 and a team member would be glad to answer all of your questions. You may also visit your local DriveTime dealership and a member of our Sales Team would be able to assist you as well. i bought a BMW from Drivetime about 2 and a half years ago. I have had so many issues with this car. I have spent a lot of money on repairs, i looking to trade this vehicle, what is the policy on trading and you still owe on it. Thank you for reaching out to us! 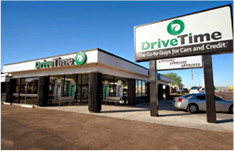 Please know that DriveTime does accept trade ins, however as there are multiple factors it would be best to contact your local DriveTime dealership for details. You can locate the closest store on our website. Thank you for reaching out to us! In order to discuss financial information, I encourage you to reach out to my Internet Sales team at (888)418-1212 or you can chat with an agent on our website. Thank you for reaching out! For any questions regarding a potential vehicle trade-in, I would strongly recommend that you contact your local DriveTime dealer so they may go over any available options with you. I purchased a vehicle from drive time several years ago. I am still paying on it. However I need a bigger vehicle. I contacted the Drive time location closest to me and the representative I spoke with told me I can not trade in the car. Again I got the car from drive time. The representative told me until it is payed off I can not swap it out for a different vehicle. when I first got the car I was told that I can trade it in to get another one even if I still owe. I really enjoyed the experience that I had with drive time however I need a bigger vehicle to accommodate my needs. If this is the case I am going to have to seek out another dealer to be able to accommodate my needs. Thank you for letting us know about this. I want to apologize for any confusion that you encountered. 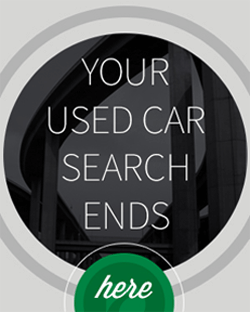 Please know that while we do accept vehicle trade-ins, there are stipulations that must be met. Additionally, money owed on your current vehicle does not mean that a different vehicle cannot be financed. However, the remaining principal balance is one of the items reviewed, along with your current credit score and your current vehicle’s value/appraisal amount. If you have any questions or would like to discuss this further, please contact my Customer Relations team at (888)290-0148. Thank you for reaching out to us and I can certainly understand at times a more accommodating vehicle is needed to meet everyone’s needs. When it comes to trading in your current DriveTime vehicle, and DriveTime customer can trade in their vehicle at anytime and anywhere. If there is a remaining balance due on the account after the trade appraisal amount, DriveTime would not be able to assist with any of the remaining balance. Should you still have questions pertaining to your trade-in, I would encourage you to contact our Corporate Sales Team at (800) 965-8042 and a representative would be glad to assist. Are there penalties for paying off a loan early and can I put as much as I want to down? Thank you for your interest in DriveTime. I would strongly encourage you to reach out to Bridgecrest at (800) 967-8526 and a representative would be glad to answer all of your questions pertaining to an early payoff. In regards to the amount to put down on a desired vehicle, please contact our Internet Sales Team at (800) 965-8042 and a team member can go over the specifics with you. How can I lower my payments? Can I trade in my truck for something cheaper? Because now Im realizing that I over paying for the total price of the car. Thank you for contacting us. In regards to your question, I would encourage you to contact your financial company to get information about your loan options. If you opted to finance through our financing partner Bridgecrest, you may contact their customer service team directly at 800-967-8526. I appreciate you reaching out to us. Should you wish to discuss this matter further, you may contact our Customer Relations team directly at 888-290-0148.